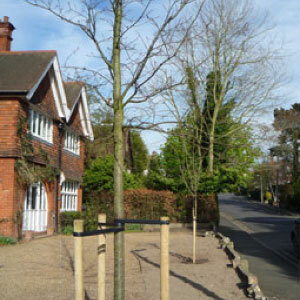 As part of our commitment to the environment, recycling and green energy, Dryad Tree Specialists have invested in the latest whole tree chipping technology. Powered by a 200hp Valtra Tractor, the Heizohack HM 500 crane fed chipper is capable of taking timber up to 20” in diameter and 30” in width (slab wood). With an output of up to 50 cubic metres per hour this machine produces a high grade wood chip suitable for wood chip fuel (biomass) or for use as ornamental mulch. We use the Heizohack to recycle all low grade timber removed from our work sites. 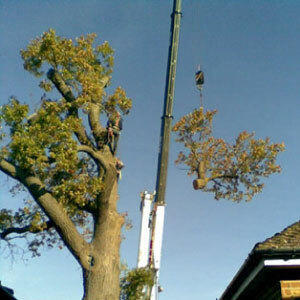 We also provide a service to other Tree Surgery and Forestry Contractors who require tree waste converting into fuel for power stations.